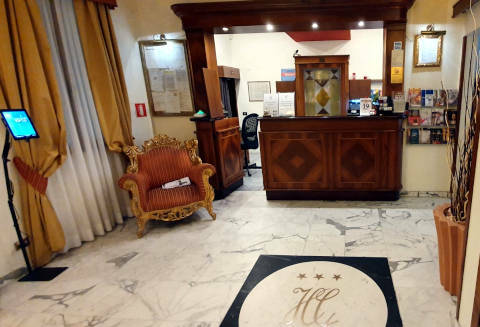 Who says there has been - The bed and breakfast is near the station of Santa Maria Novella (about 700 meters) and Stazione Leopolda (about 400 meters), in the central area (about 1.5 km from the Duomo). 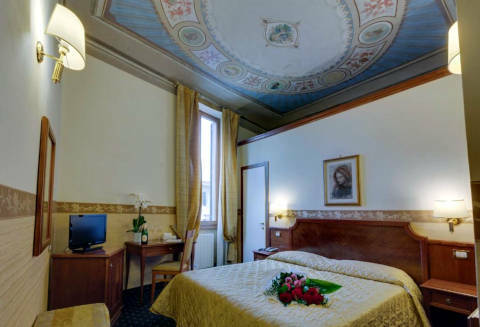 The well-kept rooms (with frescoed ceilings and original features), clean and welcoming. Breakfast normal, good and served in the room. Excellent accommodation and availability by operators. Who says there has been - In the Santa Maria Novella train station, about 20 minutes from Piazza Duomo. Comfortable rooms (air conditioning, LCD TV and free wifi), well furnished and clean. Functional and clean bathrooms. Friendly and helpful staff. Buffet breakfast, good and quite varied. Good value for money. 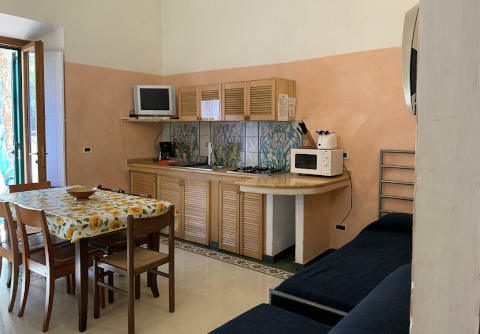 Who says there has been - Near the historical center, the apartments (of various sizes 2/5 people) are elegant, discreetly clean, tastefully decorated, equipped (air conditioning, LCD TV and free WiFi). Nice bathrooms and elegant, with Carrara marble. Staff welcoming and helpful. Who says there has been - In a quiet location in S.M.N. Station neighborhood and about 15 minutes walk from the Ponte Vecchio. 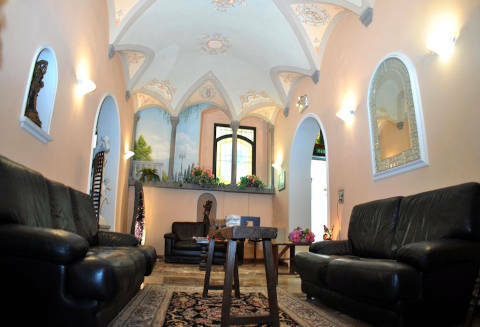 A small hotel in a beautiful art nouveau building from the early '900, family run, great kindness and availability. All very clean. Breakfast sweet / salted. 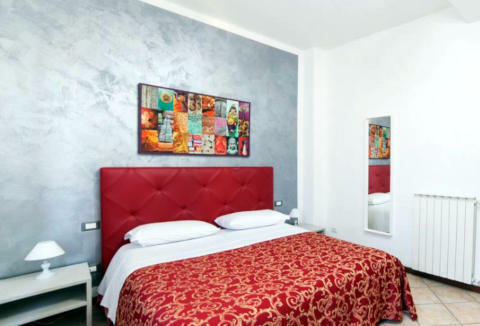 Rooms generally spacious and clean, with comfortable bed and air conditioning and LCD TV sat. good price. Who says there has been - In the center of Florence, about 10 minutes from the Duomo. 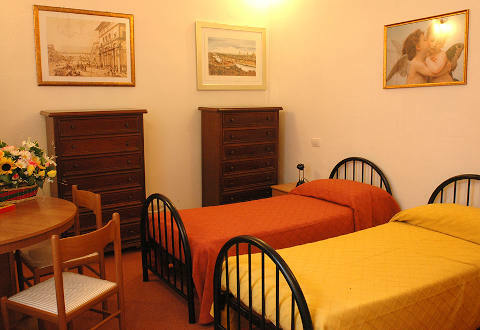 clean, simply furnished rooms (with air conditioning and tv), in a quiet area in central Florence. Managers friendly and polite. The service offered is of bed only and does not include breakfast. 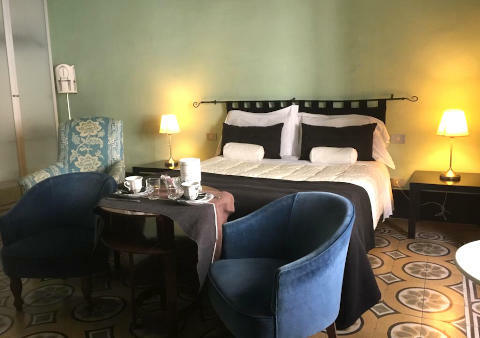 Who says there has been - Comfortable bed and breakfast, not far from the Santa Maria Novella railway station, from the Fortezza da Basso, to the exhibition center of the Leopolda station, about 4 km from Piazza del Duomo. 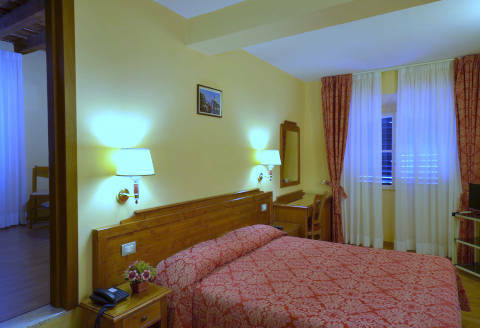 The rooms are furnished with style, excellent cleaning of the bathrooms. Abundant breakfast with packaged products. The staff is courteous and helpful. Free Wifi in the room. Who says there has been - Environments very clean, well-maintained and friendly staff and available. 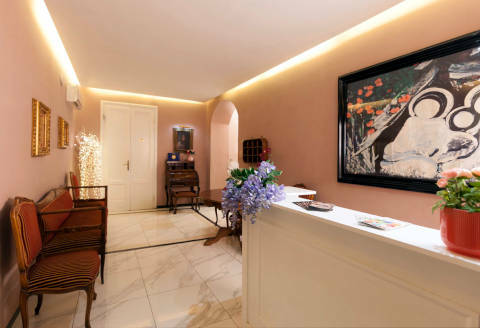 The rooms are furnished with simple and functional style, wooden floors, new furniture, marble bathrooms. Rich sweet / salty breakfast, with even fresh produce. Near the station, in the central area. Excellent value for money. 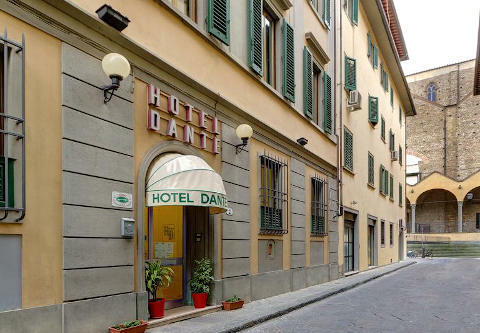 Who says there has been - About 30 minutes walk from the Duomo, cozy and with a good level of cleanliness. Missing the elevator (it's on the fourth floor). Nearby parking, also free. The good welcome of the owner. Excellent value for money. Who says there has been - A few minutes from Ponte Vecchio, in the antiques district, close to the embankment. Managers (Alessandra and Simone) and the kind and personable staff. elegant rooms furnished with taste and excellent daily cleaning. The bathrooms are comfortable and functional. Good breakfast, abundant and with large sweet / salty choice and with coffee and cappuccinos prepared on the spot. Who says there has been - A small elegant hotel located in quiet area. comfortable rooms, clean and comfortable (air conditioning, LCD TV 18-24 inches, free wifi). The bathrooms are comfortable and functional. Good breakfast in quality and quantity. Very good hospitality and willingness on the part of the staff. 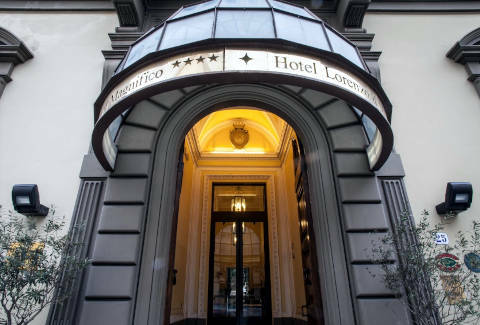 Who says there has been - In the center of Florence, about 500 meters from Piazza del Duomo and about 400 meters from Santa Maria Novella Station. Small elegant and well cared for. The rooms are spacious, clean and equipped (air conditioning, free wifi, LCD TV 24-32 "). Good hearty breakfast and with quality products (sweet / salty, even fresh). Clubhouse with frescoed ceilings in the carriage sky. Personal courteous and helpful. 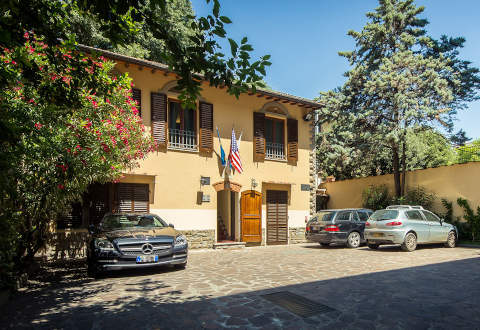 Who says there has been - Very beautiful villa surrounded by greenery, just outside Florence, with pool, barbecue and large outdoor spaces where you can breathe pure air or to play for their children. spacious and comfortable apartments are available with good quality of the furnishings, microwave, dishwasher and free WiFi. Superior cleaning. The assistance by the operators for any problem is fast and professional. Who says there has been - In the center of Florence, about 350 meters from Santa Maria Novella Station. This small hotel is cozy and well maintained. The rooms are comfortable, clean and tastefully decorated. Good breakfast buffet, with cakes and fresh products. Excellent value for money. Who says there has been - To 10-minute bus ride from the center (terminal station at 100 mt. 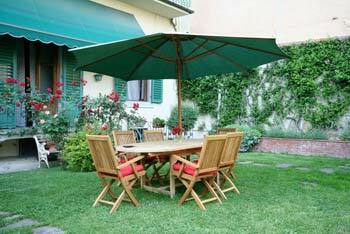 ), spacious and convenient free parking, surrounded by a large garden. Hotel opened in 1971. The property is a bit dated, it is clean enough, but the furnishings and the wear of time will not help. 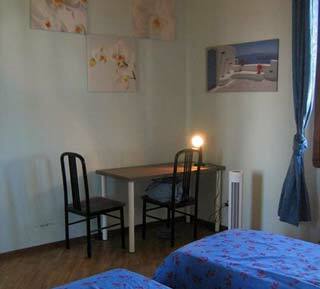 The rooms are comfortable with air conditioning, satellite TV, Free wifi. satisfying breakfast. Friendly staff. Super affordable price. Not suitable for people who want more. Who says there has been - A few steps from the start of the historic center of Florence. 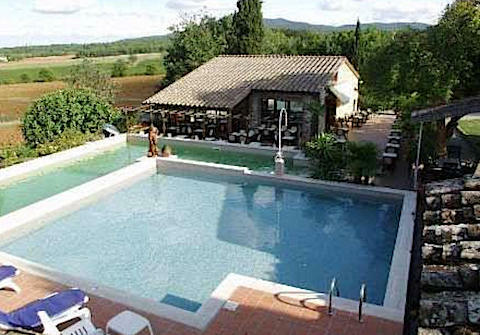 Large rooms, clean and tastefully decorated (simple and elegant), new bathrooms and well kept. Great kindness and hospitality by the owner that makes you feel at home. The varied and plentiful breakfast (served in the garden in summer). Excellent value for money. Who says there has been - In S.M. Station neighborhood Novella and Fortezza da Basso, about 10 minutes walk from the center of Florence. affordable price. 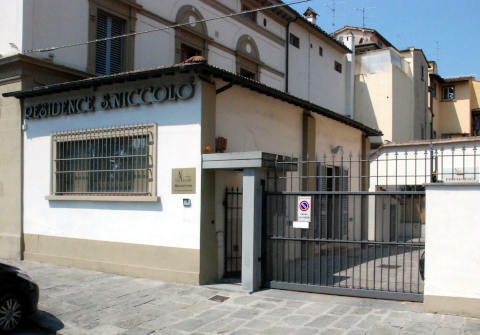 There are studios open space (25, 31, 48 m2) and two room (75, 95 m2). The apartments are fairly clean, simply furnished but functional and equipped with air conditioning and TV, free wifi in public areas and in some apartments. Aluminium joinery with good insulation. Friendly and helpful. Important: check-in from 15:00 until 20:00 (after the winds, a supplement) is applied. 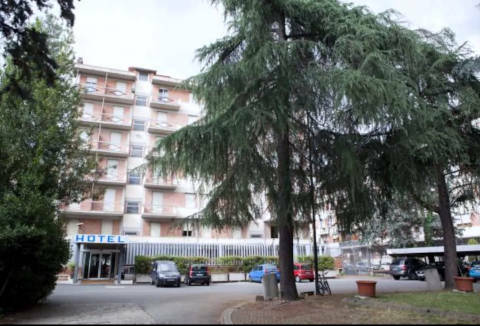 Who says there has been - With stunning views of the Duomo, luxury apartments and manicured with living room and kitchenette. 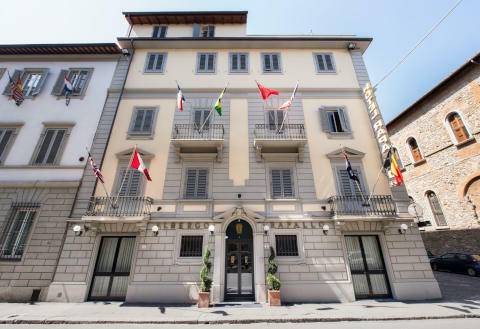 Rooms, comfortable, clean, stylish and well-appointed (many with artistic painted rosettes), many with balcony with breathtaking views of Piazza Duomo. Sympathy and warm welcome from the staff. 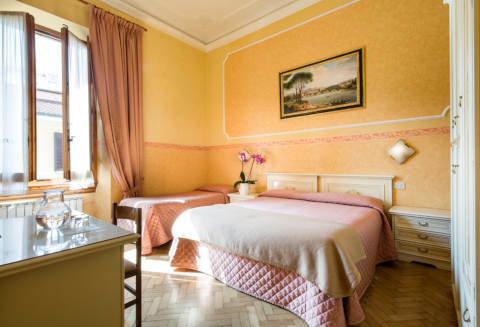 Who says there has been - In an ancient convent charming and elegant, close to the Garden of Villa Strozzi, about 20 minutes walk from the Duomo. 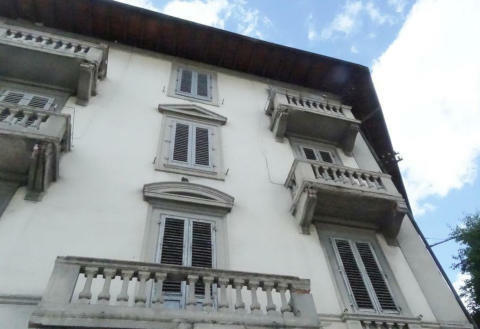 Spacious rooms, clean, recently renovated and tastefully decorated by the owner and architect Tiziana. Good buffet breakfast consisting mainly of organic products. Managers funny and friendly. 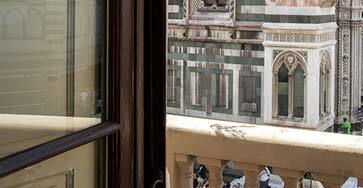 Who says there has been - Located in the historic center of Florence, next to the Duomo to Palazzo Vecchio and Piazza della Signoria, the B & B Cimatori is the name of the medieval square in which he resides and is on the second floor (43 steps without elevator) in a historic building dating back to 1400 and completed in 1700. the rooms have private baths and are furnished with style and elegance and has double glazing, is available in the structure free wi fi. Continental breakfast. Who says there has been - In central Florence, around 300 meters from Santa Maria Novella station and about 900 meters from the Duomo. The rooms are clean, comfortable, well furnished (air conditioning, LCD TV 18 ", free wifi) and spacious. Bathroom comfortable and functional. Good breakfast. Staff were helpful and welcoming. Who says there has been - A few minutes from the Duomo, in a quiet area and a short walk from the University of Humanities and Education. 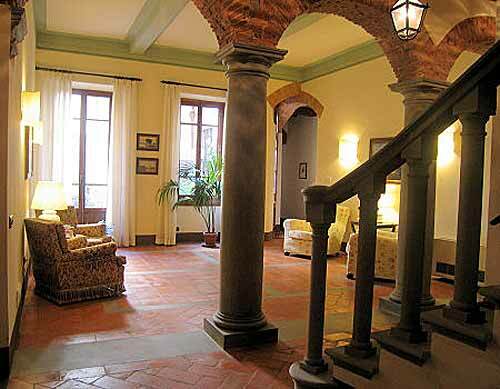 The property is a charming and elegant former convent. The 10 rooms are cozy, clean and generally comfortable, medium and small bathrooms. The rooms are stylish and well furnished. The staff is helpful and friendly. good and plentiful breakfast. 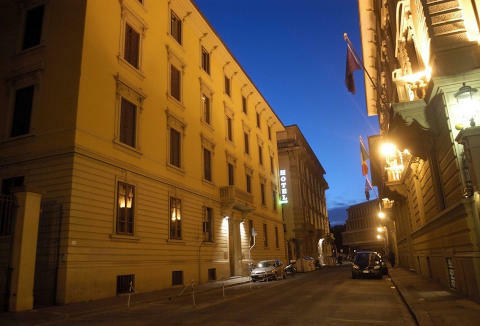 Who says there has been - A short walk from downtown and major attractions (about 5 minutes from the Duomo). The welcome and helpfulness of the staff is very good. spacious rooms (tastefully furnished and decorated with tapestries on the ceiling), clean, comfortable beds, wifi, sufficiently spacious bathrooms. Covered pay parking across the street. Good breakfast. Who says there has been - nice and clean hotel. The rooms are comfortable, clean and well furnished. comfortable and functional bathrooms. Good breakfast normal. Free wifi. Family run, courteous and helpful. 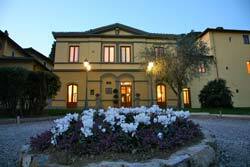 The location is great for visiting the historic center of Florence. A 5-minute walk from the Duomo. paid parking very close. Who says there has been - In the central area, about 10 minutes' walk from Piazza del Duomo. And 'an historical house of the end' 700, recently renovated. Good level of cleanliness, elegant and comfortable rooms (air conditioning, WiFi and satellite TV). Good breakfast. The hospitality and helpfulness of the staff is excellent. Who says there has been - Clean and functional hotel, although not brand new. 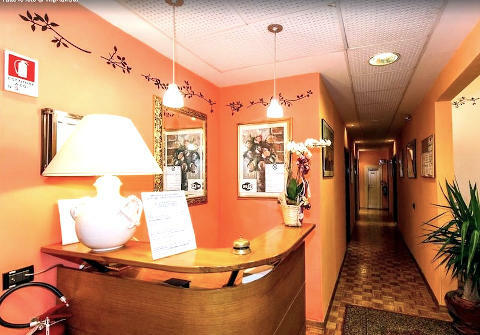 Under new management, in the central area (near the Holy Cross), has rooms and mini-apartments clean, comfortable and equipped (air conditioning a bit noisy in some room, free wifi). Friendly and helpful. Breakfast buffet with many fresh products, good. Who says there has been - Set in the green (beautiful garden) a short walk from the center of Florence. The property is a very nice villa, a former nineteenth-century monastery, has comfortable rooms, tastefully furnished, clean and quiet. Friendly and helpful, breakfast fine but not excellent. Affordable prices. Who says there has been - Small family-run hotel, about 10 minutes from the station S.M.N. and about 15 'from the city center. Rooms generally spacious and very clean (LCD TV, free WiFi), simple furnishings. Abundant breakfast. Cordiality and kindness of the staff. Page load time: 0.17 sec.